Some princesses sit on their thrones all day, demanding tea and cake. But not the Rescue Princesses! These girls have lightning-quick ninja skills. Their sparkly jewels have magical properties. And they’re on a mission to help animals in need! Princess Amina is really excited about her cousin’s wedding – especially as her princess friends are also going to be there. 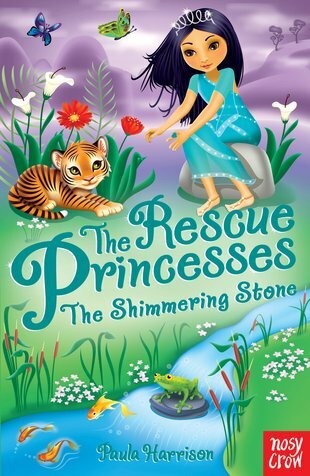 The Rescue Princesses can’t wait to put on their best dresses and their dancing shoes. But when a wounded tiger is found in the hills, the girls must help her tiny cubs. This rescue needs to go ahead, royal wedding or no royal wedding!